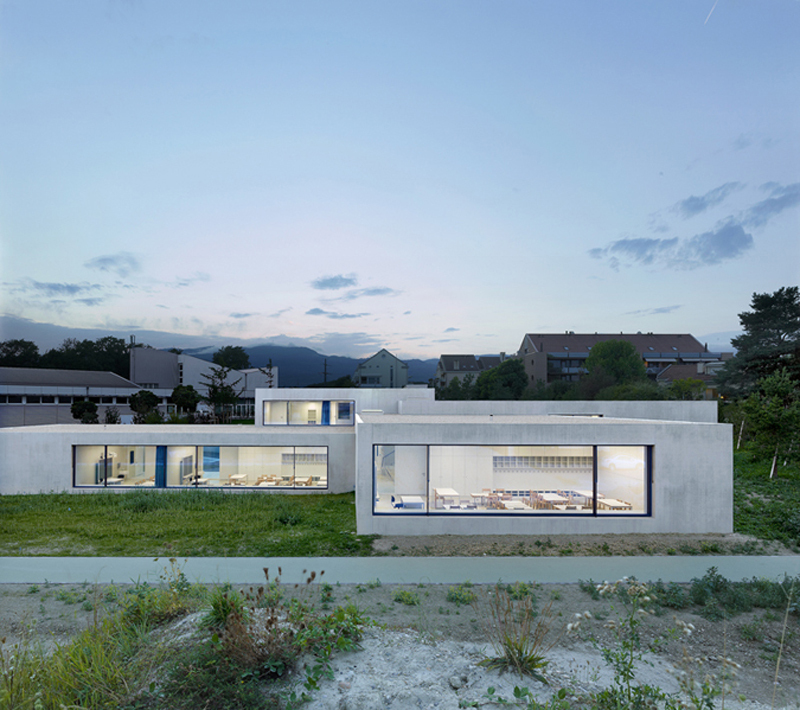 The new Prangins kindergarten is conceived as one big house that has been placed on a sloping site. 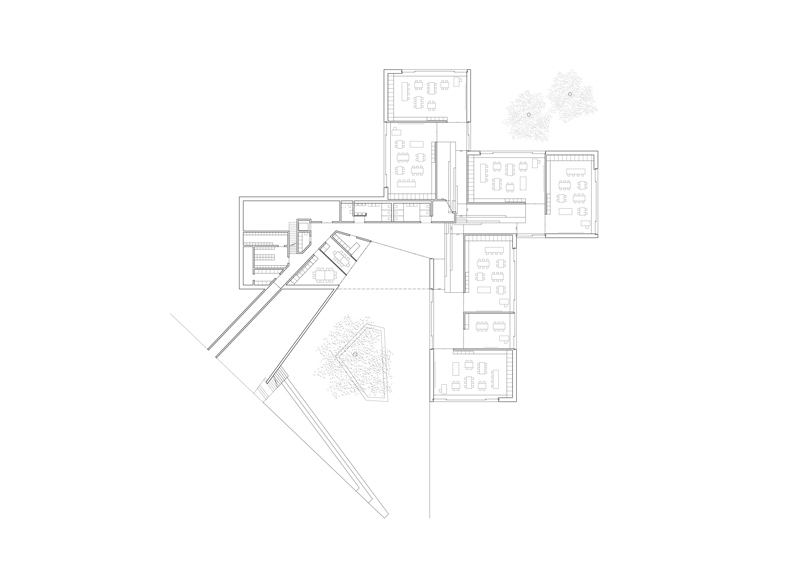 The cruciform structure resulting from the interlocking volumes allow it to have a special relationship with the neighbouring ensemble. 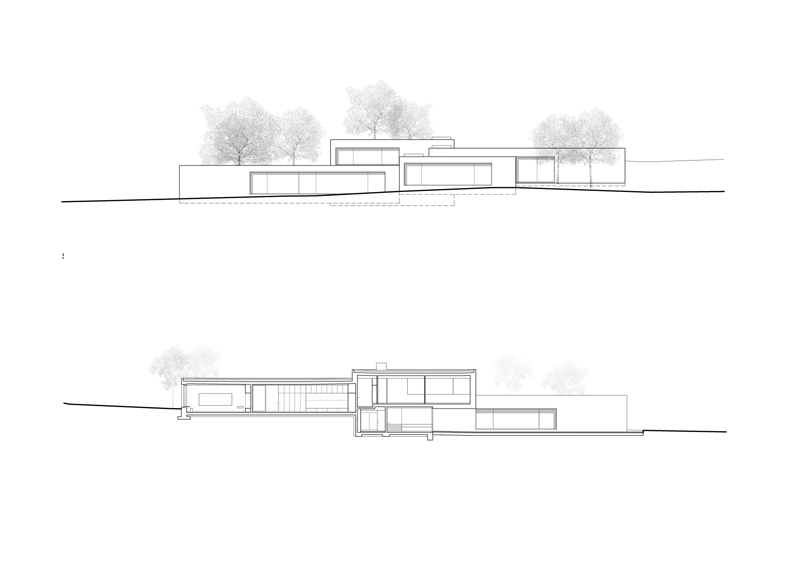 The four volumes, which are mutually staggered by a third of each unit’s floor height and interleaved, make the building appear to be smaller and visually less obtrusive. 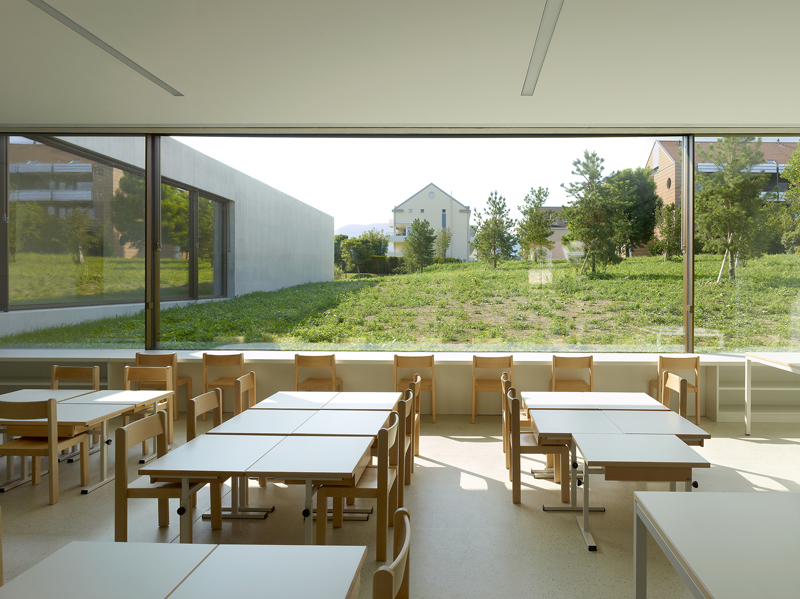 The six classrooms are organised into groups of two and occupy the three lower volumes. 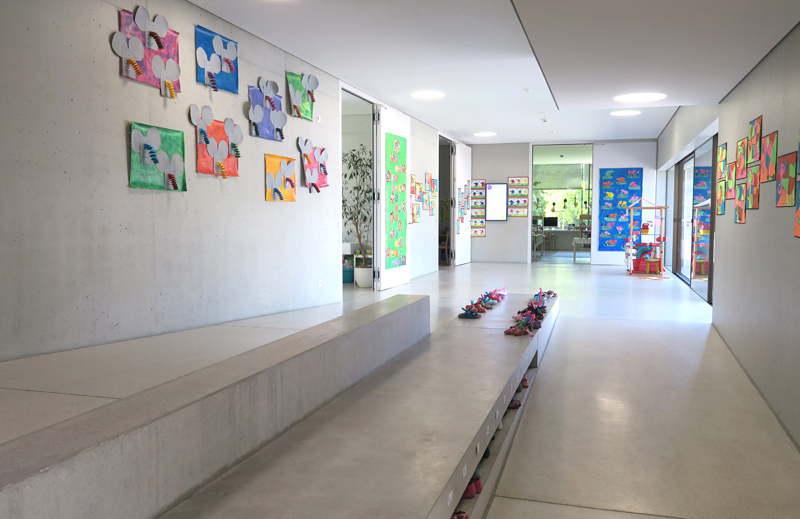 Due to its central location, the staircase is a fundamental, structuring element of the kindergarten. 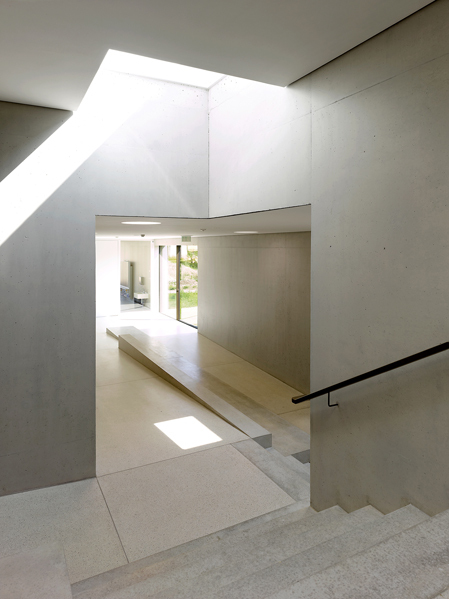 The ramps that accompany it provide parallel access and act as an internal entrance to the crèche. 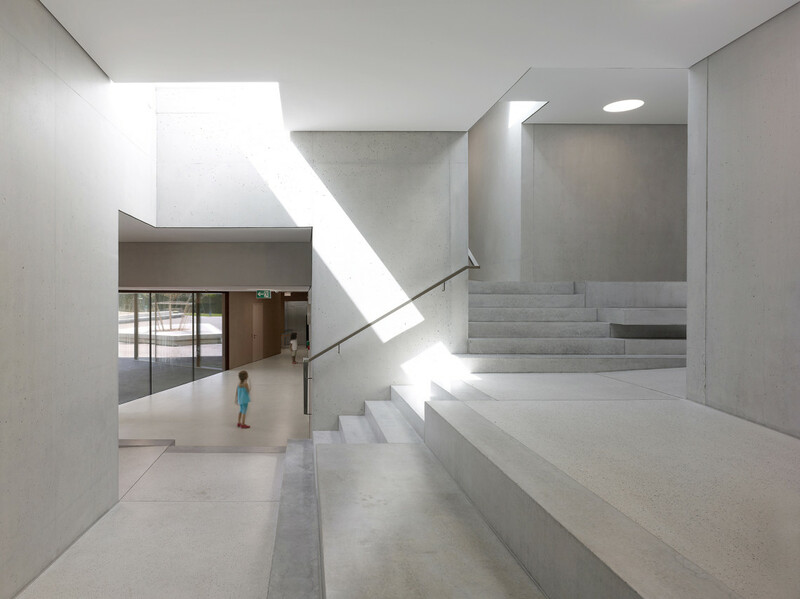 The volume of the crèche, which is placed perpendicular to the first wing, marks and covers the entrance area of the kindergarten. 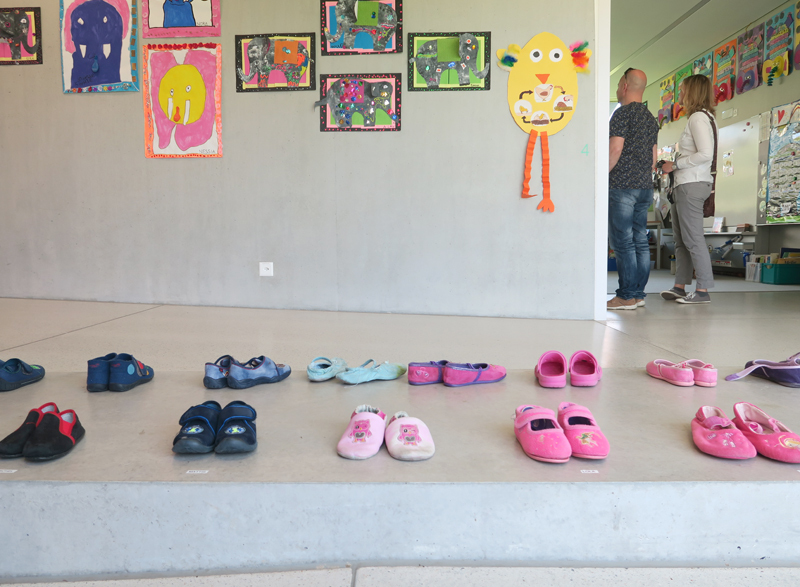 Direct access to the upper part of the property also enables the independent operation of the crèche. 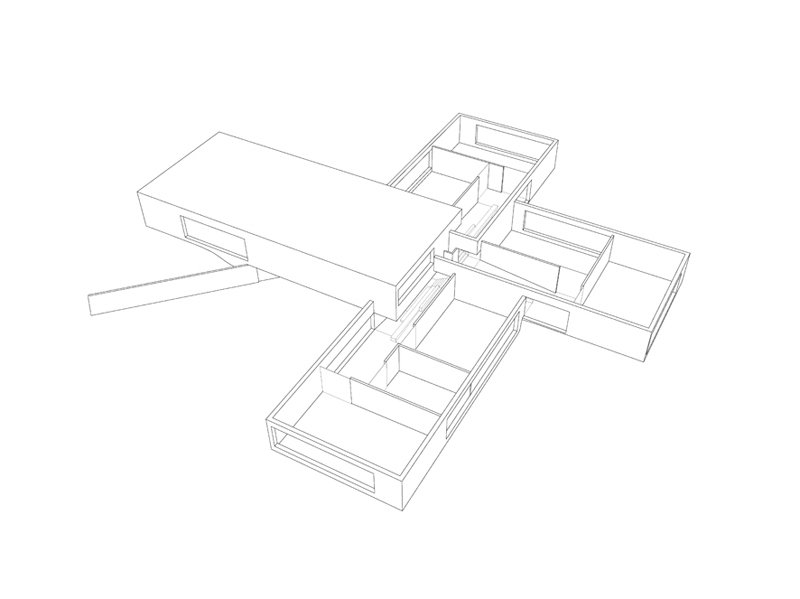 The crèche floor plan consists of a large (dining) room, which can be divided into several smaller units, depending on requirements. 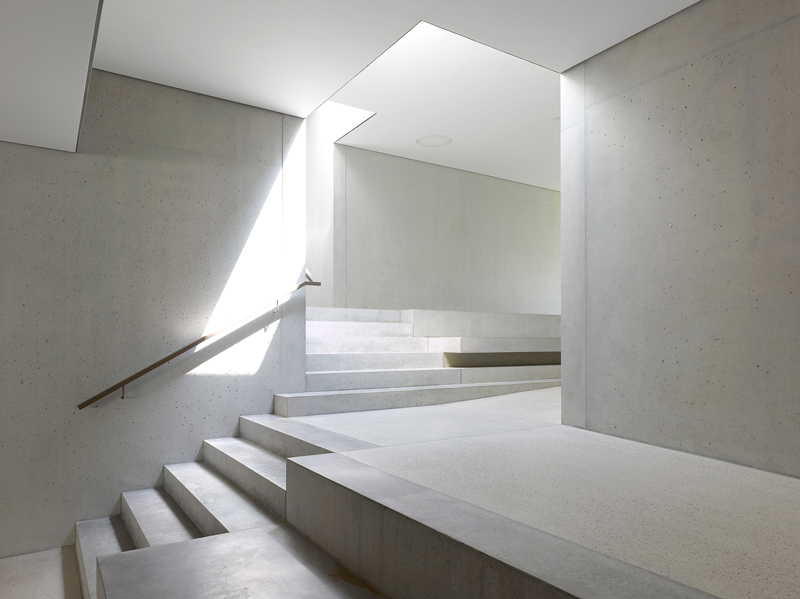 The natural qualities of the location are highlighted by the different alignment of the large window openings, since the design pays great attention to visual relationships with respect to their placement. 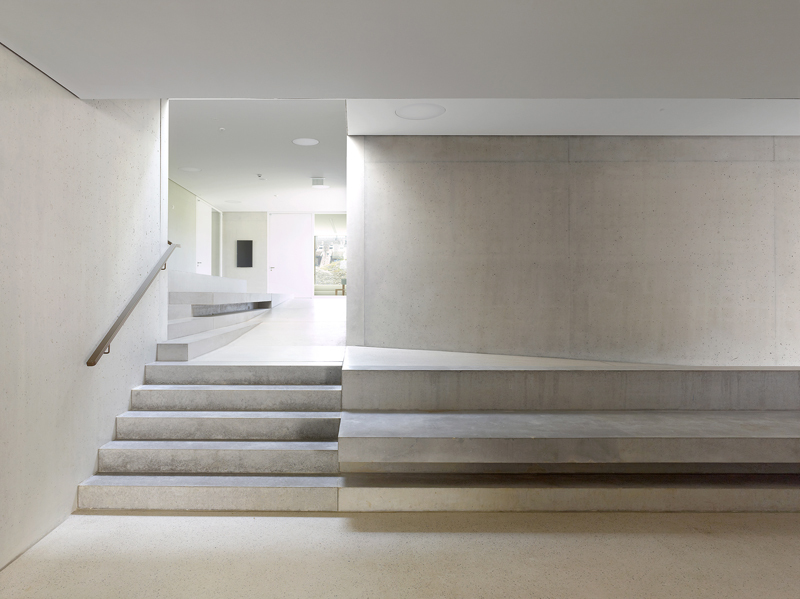 The reinforced concrete, visible both inside and outside, anchors the building into the topography. 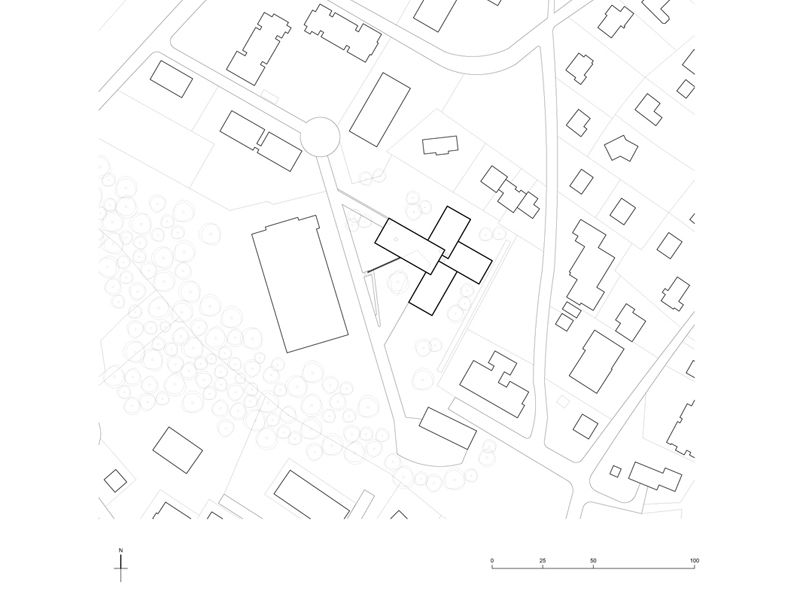 Pierre-Alain Dupraz (Geneva, 1967) holds the diploma in architecture from the Ecole d’Ingénieurs de Genève. 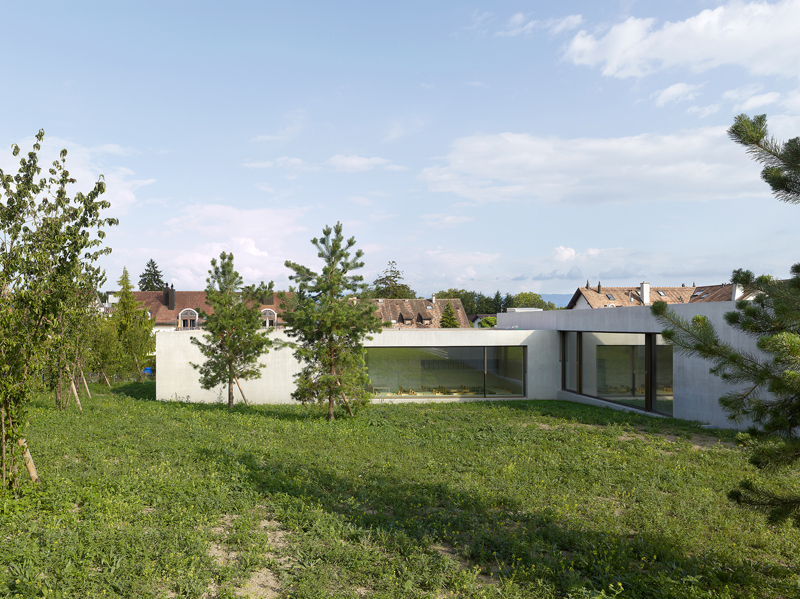 Before establishing his own office PIERRE-ALAIN DUPRAZ ARCHITECTE ETS FAS in 2002, he had collaborated with several architects in Geneva, such as Archambault, Barthassat & Prati, Chantal Scaler and Christian Dupraz. 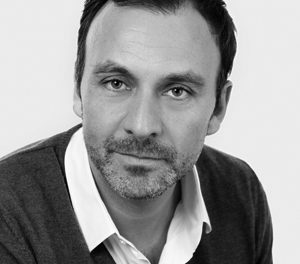 From 2002 to 2015 he was a guest participant in reviews for the 3rd-year Bachelor course at the HEIA Fribourg, where he was also a professor at the interdisciplinary design class in civil engineering from 2007 to 2012. 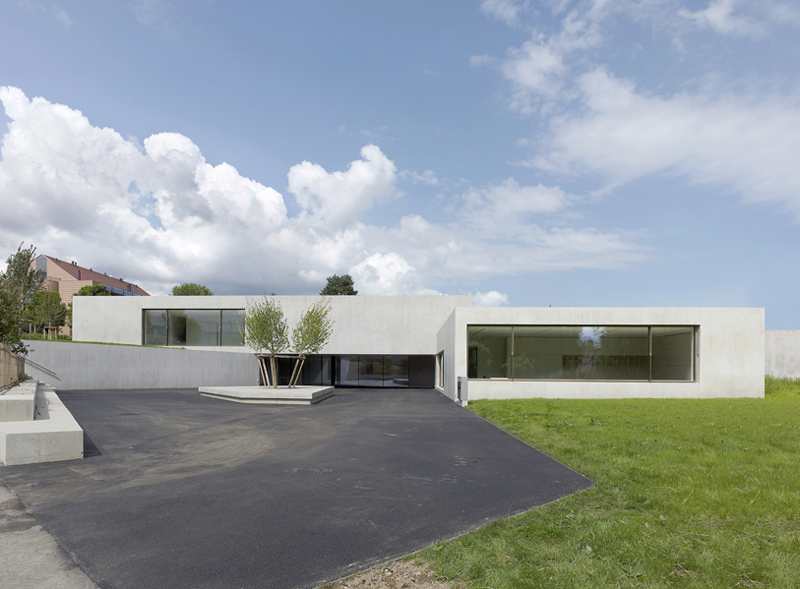 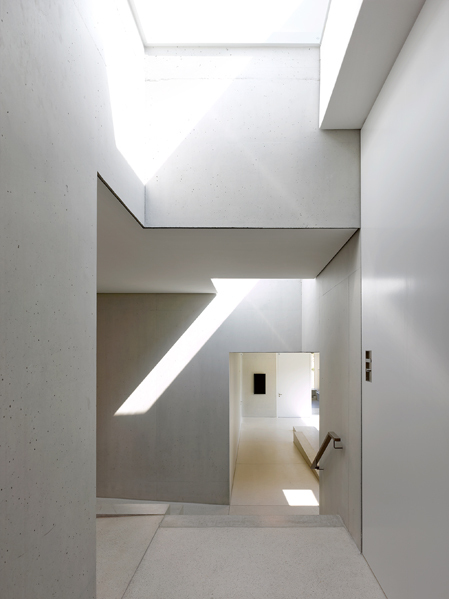 From 2008 he is a Committee member of the Geneva section of the Federation of Swiss Architects (BSA/FAS).